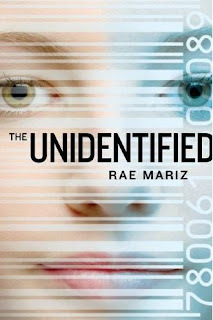 Mariz, Rae The Unidentified, 296 p. Balzer + Bray (Harper), 2010. Mature Content: G. Violence: PG, Language: PG-13 (43 swears, 0 ‘f’). $17. Kid, 15, is kind of stuck in her advancement through The Game – the corporate-sponsored replacement for public schools after so many economies collapsed and public entities couldn’t afford to fund them any more. Then comes the day when she is shocked out of her apathy, when an anonymous group of students play a prank that makes her think. Now, suddenly, Kid is the object of much speculation – by corporate sponsors who suddenly brand her an “It” girl and get her to sign away her identity, to former friends who turn their backs on her and new friends who are probably looking for ways to use her. Mariz’s premise is very interesting, especially because so many schools use mild corporate sponsorship in one form or another already, but it is definitely written for teens, without a lot of depth or exploration of the issues, relying more on action and rushing to the end. HS – OPTIONAL. Cindy, Library Teacher. Muir, Leslie Gibbus Mooney Wants to Bite You! 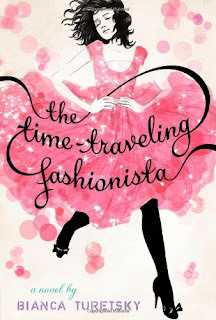 Illustrated by Jen Corace. Simon, 2011. 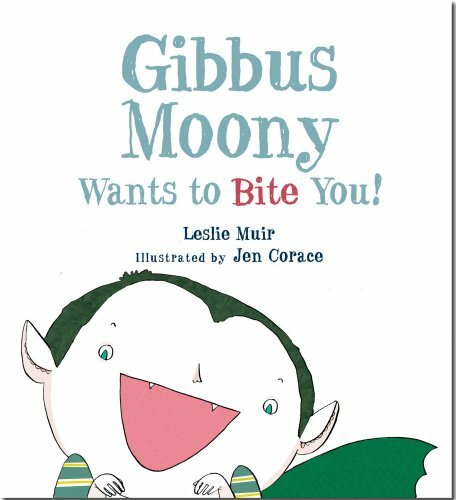 When Gibbus Mooney’s grown-up fangs start showing, he gets a little itchy – and even though he is a fruit-eating vampire, he has the urge for some neck-biting. On his search for the perfect neck, he meets another little boy he teaches him something important about biting. I love Gibbus and I love his anti-biting message. What a great way to talk to children about not biting without being preachy! EL (K-3), Pre-K – ESSENTIAL. Cindy, Library Teacher. 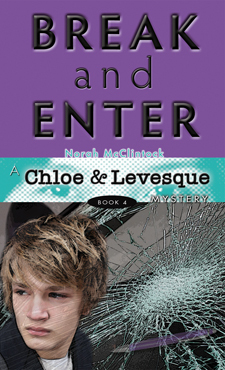 McClintock, Norah Break and Enter, 212 p. Kane Miller, 2011. $5.99. Content: G. Mr. Lawry has a bone to pick with Chloe and someone is using that tension to make matters worse – going so far as to frame Chloe for murder. Add in Davis, a cocky transplant from Toronto who hates everything about small town East Hastings, including everything to do with the school newspaper and Chloe is not destined for an easy time. 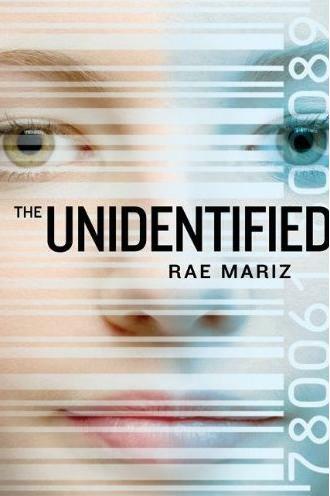 In order to clear her name and solve the murder, Chloe will have to put herself into danger again. MS – ADVISABLE. Cindy, Library Teacher. 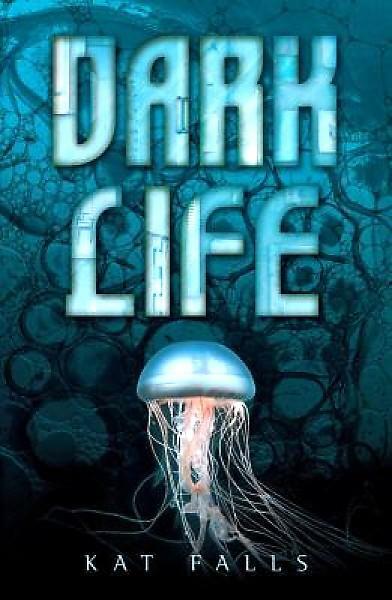 Falls, Kat Dark Life, 297 p. Scholastic, 2010. $7. Violence: PG. Ty has lived his whole life in the deep ocean. The adults don’t know it, but living here has given Ty some special gifts – dark gifts. When the Seablite Gang and their ruthless leader Shade attack his neighbors’ homestead, the land-based government forces the colonists to hunt the Gang on their own or they will lose their charters. 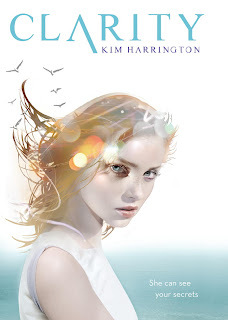 And Gemma, a topsider who is afraid of the ocean is major distraction to Ty, because she needs his help to look for her brother. Falls has created a well thought out world under the water and the fast-paced narrative leaves you only a little time to enjoy the scenery. EL, MS – ADVISABLE. Cindy, Library Teacher. 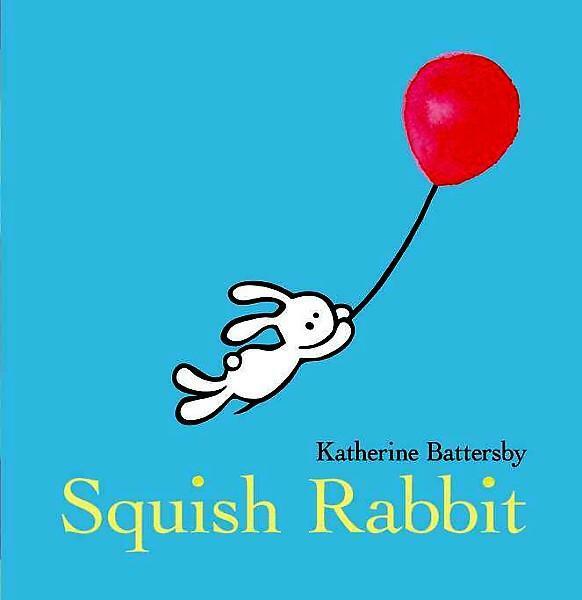 Battersby, Katherine Squish Rabbit. Viking (Penguin), 2011. $13. PICTURE BOOK. Squish is just a little rabbit who doesn’t have any friends to play with. His friend he made himself is only entertaining for a little while, but Squish doesn’t know what to do until he finds an unlikely prospective companion. 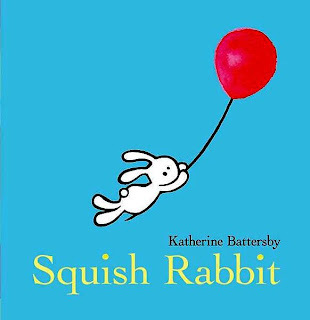 I like the author’s multi-media illustrations and think that very small children might enjoy Squish’s story. Pre-K – OPTIONAL. Cindy, Library Teacher. 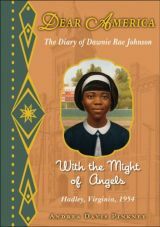 Pinkney, Andrea Davis With the Might of Angels: The diary of Dawnie Rae Johnson, Hadley, Virginia, 1954. 302 p. $13. When Brown vs The Board of Education ends segregation in public schools, Dawnie is the only black student to enroll in Prettyman Coburn, the local white school. Most everyone is determined to keep Dawnie, and every other black person in the community, in her place, strewing obstacles in her way. Only a few kind people are willing to reach out, including Gertie Feldman, who is also Dawnie’s rival for the coveted job of school bell ringer. Dawnie must endure all kinds of slights, taunts and slurs in her first year. Pinkney has done an excellent job of showing the stressful situations those first brave students went through, without devolving into an angry tirade. Our own imaginations can supply the words, thank you. I am so glad that Scholastic is adding more books to the Dear America series and reprinting the older titles. EL, MS – ESSENTIAL. Cindy, Library Teacher. 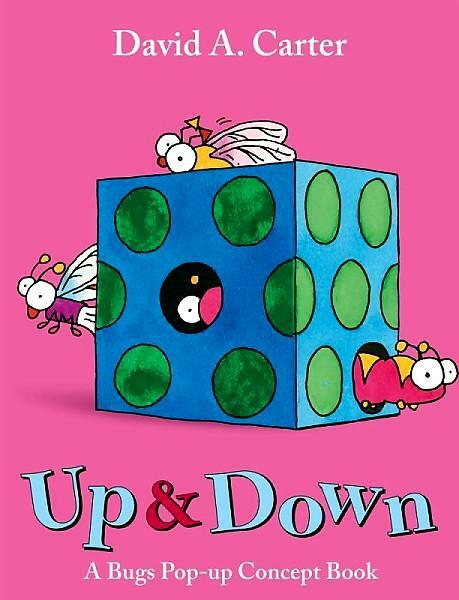 Carter David Up & Down, Counting, Opposites AND Colors. POP-UP BOOKS. $7.99 each. Carter has taken his little pop-up books and recreated them in a larger format. 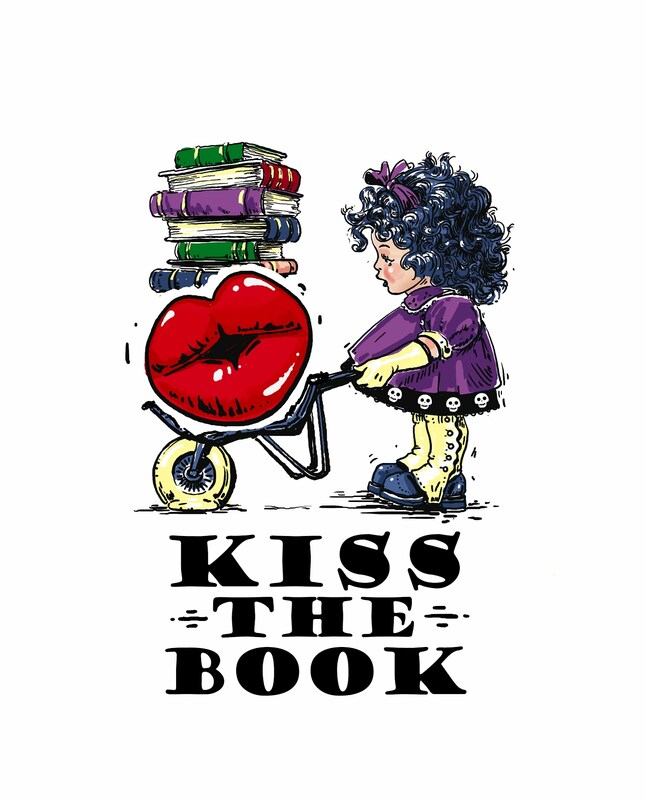 Still adorable and simple – if you can keep little ones from ripping the pop-ups out of the book, they will adore them. Pre-K – ESSENTIAL. Cindy, Library Teacher. McClintock, Norah Scared to Death, 202 p. Kane Miller, 2001, 2011. $5.99. 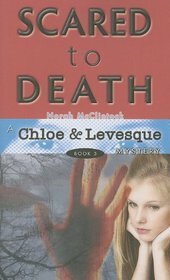 Chloe is not really great friends with Tessa, so when Tessa shows up looking for Levesque, Chloe is quick to point her at the police station and out of her life – for good, as it turns out, because Tessa is found dead not long after. 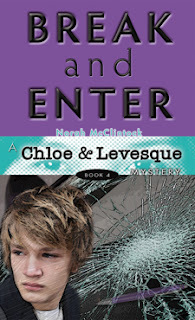 Now Chloe is on the hunt for a murderer, but is it the on-again-off-again boyfriend or is it Ross, the editor of the school paper and Chloe’s friend, who seems to have been seeing Tessa on the side? Or is someone else, with a darker purpose, lurking in the wings. I have finally got my hands on most of McClintock’s titles. She is from Canada, so we haven’t seen much of her in the U.S. before now. Now I have 31 titles by her on my shelves – she has definitely turned my holy trinity (Cooney, Duncan, Nixon) has now become a quartet! MS – ESSENTIAL. Cindy, Library Teacher. 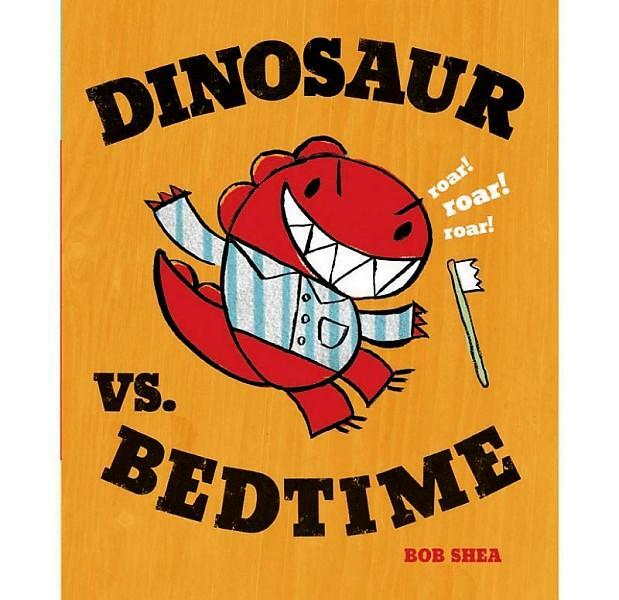 Shea, Bob Dinosaur vs Bedtime, 28 p. Disney (Hyperion), 2008, 2011. $6.99. BOARD BOOK. Shea’s hilarious picture book is now in board book form! Now it will be sturdy enough to handle any little one’s roaring and gnashing of teeth as they mimic dinosaur during their own bedtime adventures. Pre-K – ESSENTIAL. Cindy, Library Teacher. 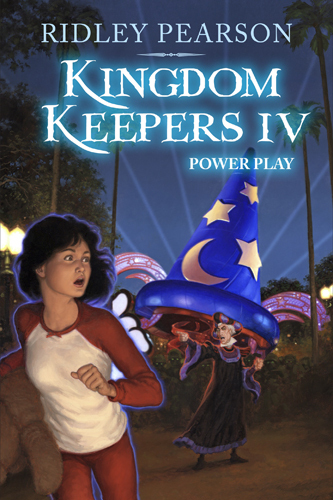 Pearson, Ridley Power Play (Kingdom Keepers IV), 433 p. Disney (Hyperion), 2011. $18. Content: G. The Kingdom Keepers should have known that quiet times in the parks just mean that the Overtakers are hatching plots. While Chernabog and Maleficent are being kept in maximum security, the remaining Overtakers are determined to make the Keepers lives miserable, including forcing them into the parks and putting them in danger. New Disney characters join the show and new bits of information are leaked. The Overtakers seem to playing a long game, but a very important clue will be revealed! Book number 4 in what seems to be a 7 books series doesn’t advance the over-arching plot a whole lot, but is not a waste of action and adventure. New villains (got to have lots of villains) and a few real friends Disney show up this time. Young minds will really love it. EL – ESSENTIAL, MS – ADVISABLE. Cindy, Library Teacher. Fisher, Valorie. Everything I Need to Know Before I’m Five. Schwartz & Wade (Random House), 2011. $17.99. PICTURE BOOK. Several concept books combined into one; including: numbers, opposites, shapes, colors, seasons, weather, and the alphabet. What brings this title above others like it are the bright bold colors and charming layout. The pictures consist of vintage looking toys and dolls. 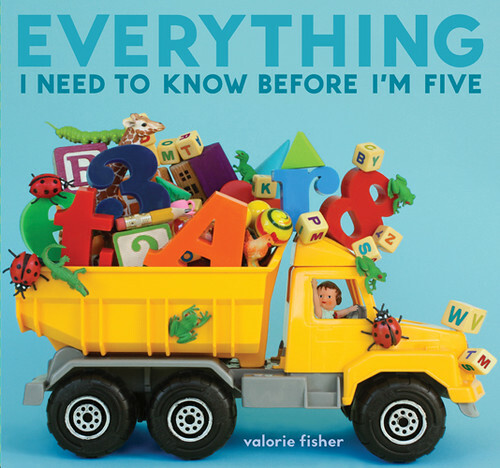 This book is a great resource to prepare children for kindergarten. Pre-K – ESSENTIAL. Samantha, Public Librarian. Allen, Elanna. 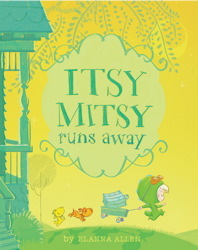 Itsy Mitsy Runs Away. Atheneum (Simon & Schuster), 2011. $16.99. PICTURE BOOK. Itsy Mitsy hates bedtime, so she’s going to run away. 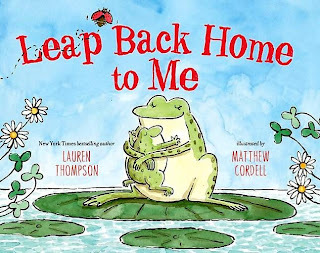 Her dad reminds her to pack a few things on her way out – stuffed animals, food, lamp for light, a house to plug the lamp into, and of course her dad to mow the lawn. The illustrations are expressive and endearing with a vintage look. Pre-K, EL – ADVISABLE. Samantha, Public Librarian. Torrey, Richard. Because. Harper, 2011. $16.99. PICTURE BOOK. Why did the little boy put band aids all over his body? Because. Why is he sitting in the laundry basket, holding a bat? Because it is his spaceship. A clever book about the excuse “because” and how children use it. The illustrations are fantastic and tell most of the story. A charming book to read aloud. Pre-K, EL – ESSENTIAL. Samantha, Public Librarian. 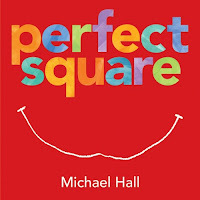 Hall, Michael Perfect Square 40 pg. Greenwillow Books, 2011. PICTURE BOOK. $16.99. This is a must for any library collection! It all starts with a perfectly perfect square, but day after day the square is cut and poked and torn and shattered so it has to transform itself into something new each time. This book works well on so many levels. 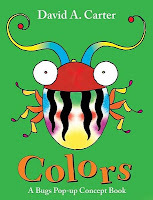 The bold colors and easy text will attract little ones. The shapes and art will attract others. And still the deeper meaning of the book--that we are sometimes twisted and shredded and snipped yet we can still transform ourselves into something beautiful--will resound with others. 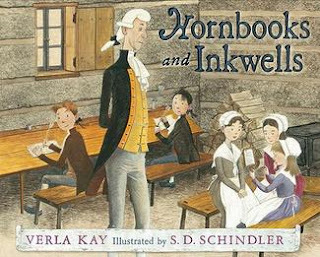 There are so many curricular connections that could be made with this book. It is a must! EL-ESSENTIAL. Whitney, Library-Teacher. Willems, Mo. Knuffle Bunny Free: An Unexpected Diversion. 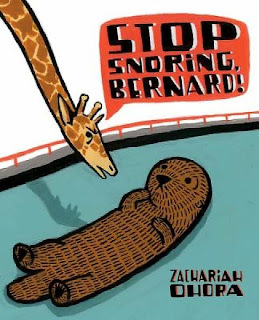 Balzer & Bray (Harper Collins Publishers), 2010. $17.99. PICTURE BOOK. Knuffle Bunny returns for a world adventure. Trixie and her parents are flying to see her grandparents in Holland. She leaves Knuffle Bunny on the airplane. Trixie is distraught until she dreams of Knuffle Bunny’s many adventures around the world making other children happy. Trixie then enjoys her vacation. The charming illustration combination of cartoon ink art layered with black and white photographs continues with this third installment. The photographs include iconic pictures from around the world. 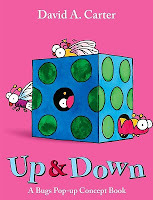 This book is truly a delightful, “unexpected diversion.” Pre-K, EL – ESSENTIAL. Samantha, Public Librarian. 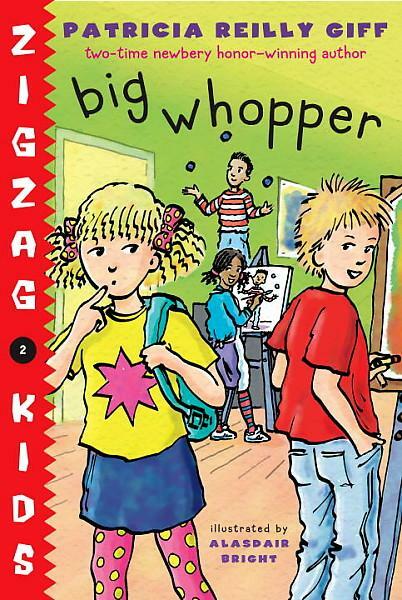 Giff, Patricia Reilly ZigZag Kids: Big Whopper 80 pg. Yearling, 2010. EARLY READER. $4.99. In this new series, join the Zigzag kids in their after-school adventures. Destiny Washington is in a bind when everyone but her discovers something new during discovery week. What will she discover? How will she get out of telling her big whopper? This is a good beginner book with its short story, easy text, and simple sentences. However, I feel like there are better easy read series...this wouldn't be my first pick for the library. EL-OPTIONAL. Whitney, Library-Teacher. 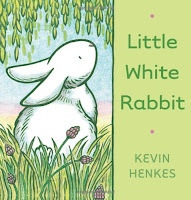 Henkes, Kevin Little White Rabbit 40 pg. Greenwillow Books, 2011. PICTURE BOOK. $16.99. Little White Rabbit is an imaginative bunny who wonders all kinds of things about the world. What would it be like to be green, to be tall, to flutter through the air? His wondering stops when he sees a cat and gets frightened, but when he gets home, he doesn't have to wonder who loves him. Sweet story with sweeter illustrations. 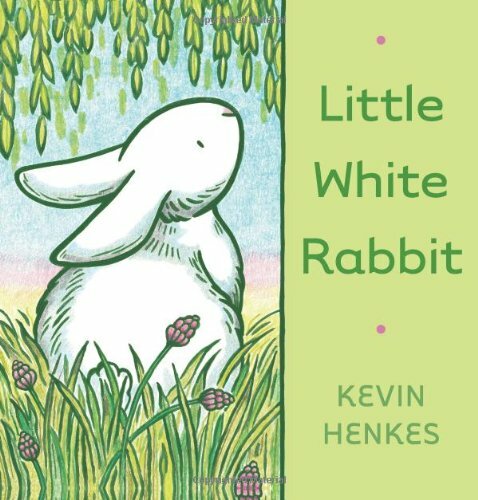 Henkes uses bold outlines and pastel colors and after each Little White Rabbit wondering there is a two page spread illustration. Perfect book to use to hop into Spring and would be great to use as a lesson prompt! EL-ESSENTIAL. Whitney, Library-Teacher. 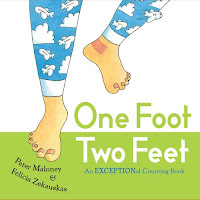 Maloney, Peter and Felicia Zekauskas One Foot Two Feet: An Exceptional Counting Book 48 pg. G.P. Putnam's Sons, 2011. PICTURE BOOK. $12.99. 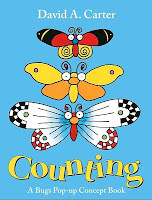 In this unique counting book, each page has a die-cut framing the counted object and when the page is turned, the other counting objects are revealed. Also unique about this book is that the objects being counted are all irregular plural nouns (geese, mice, feet, oxen etc.). Along with the energetic illustrations, kids will enjoy the format and finding the hidden airplane on each page. 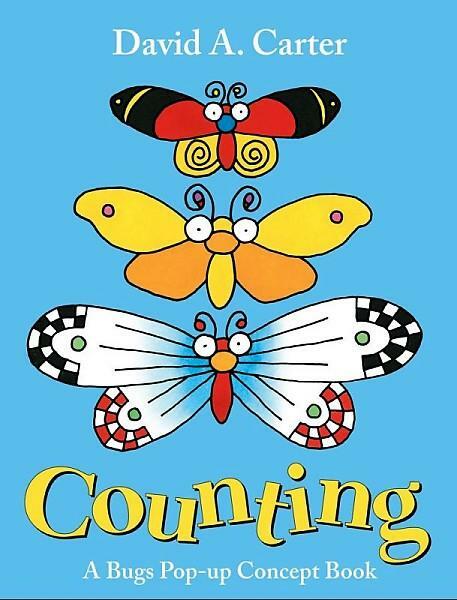 This is definitely an exceptional counting book! Pre-K/EL(K-3)- ESSENTIAL. Whitney, Library-Teacher. Cocca-Leffler, Maryann Rain Brings Frogs 32 pg. Harper Collins, 2011. PICTURE BOOK. $9.99. Even when it is raining, muddy, ugly, or cloudy, Nate can see the bright side of things! 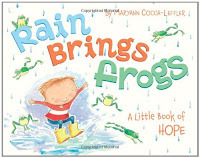 Darling picture book about optimism and the power of positive thinking. This would be a great book to use for a social skills lesson! What a wonderful world it would be if all kids were this positive...EL-ESSENTIAL. Whitney, Library-Teacher. When a sleeping darkness spreads from ‘the Dreaming’ into the waking world covering all in its path, Tom, a 12yo turnip farmer finds himself in charge of gathering a group to fight it. Thanks to the magical shard he found, he is given visions of who should join his team. In a haphazard way he reluctantly sets out to collect them. 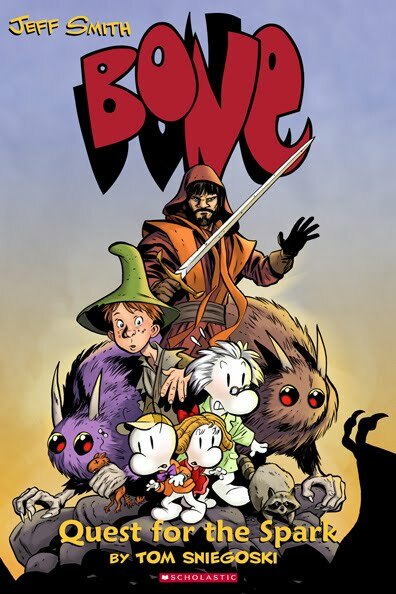 This features a warrior, a couple of rat Creatures, The Bones family–an uncles and his twin niece and nephew with their flying ship, and his best friend –a raccoon named Roderick. 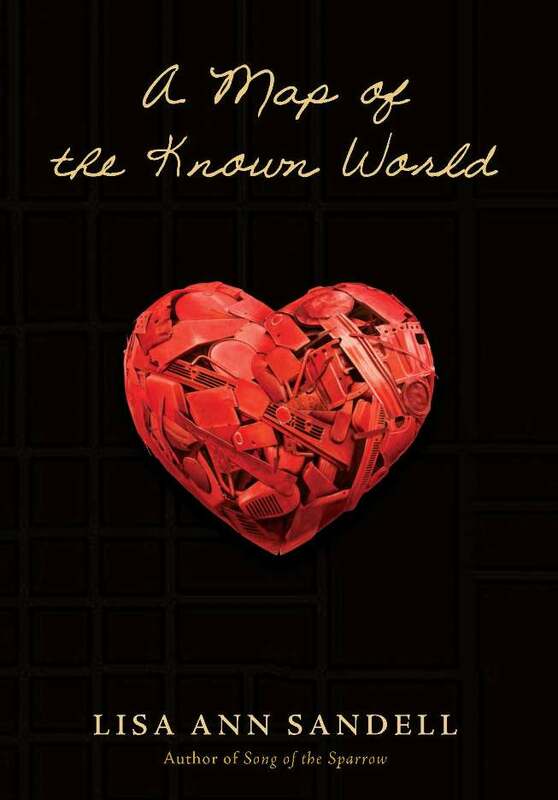 This book is fully an introduction to the series, where all the main characters are introduced and gathered. It doesn’t have too much of a stand alone plot, so it’s quite disappointing. There are scattered graphic novel like illustrations but they are few and far between. A few of the antagonists are the clumsy dumb type which I find to be really annoying. I would be willing to see how the plot continues but don’t recommend purchasing until further novels in the series are released. Elementary, MS –Optional. Reviewer: Stephanie MLS graduate. 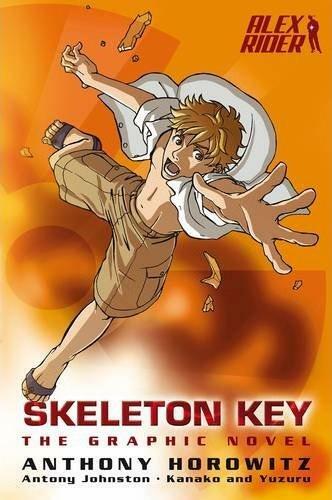 Alex Rider is a 14 year old spy who is taking a break, just surfing and being a normal teen. When he is dragged back into action by MI6 agency, Alex finds himself trotting the globe trying to solve a mystery that is still unfolding. Alex faces a few hurdles in the process, from battling an aging communist with a deadly agenda, fighting off a shark, and being attacked a skilled nemesis. I have no problem with a junior 007 style book, it leads to adventures that are both action packed and interesting. However the plot in this book is very old school 007 style with an outdated plot featuring old Russia and communism. This art was typical manga style, but not particularly creative or unique. 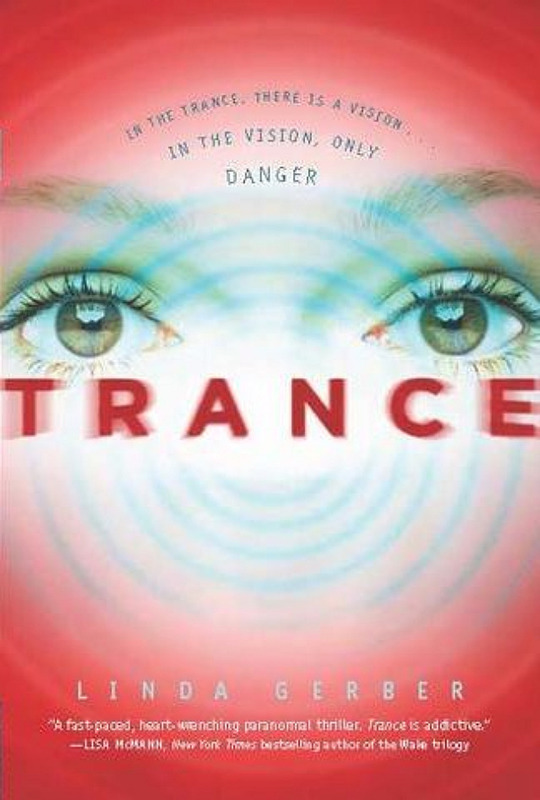 While Alex Rider is a series, this book could function as a stand alone. Buy if you need to beef up your graphic novel selection. MS –Optional. Reviewer: Stephanie MLS graduate. 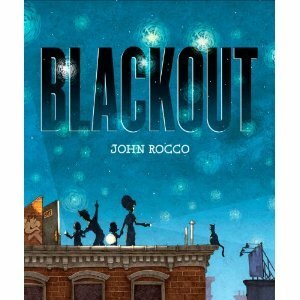 Rocco, John Blackout. Disney, 2011. $17. PICTURE BOOK. Every once in a while, a hot, sticky summer night in the city can mean BLACKOUT! A little girl and her family find ways to cope and ways to enjoy the lack of electricity. Rocco’s illustrations are gorgeous! While he story is a simple look at a city-wide blackout, it is enough for small children to not be afraid when the lights go out. I think it would be great for story time and discussion. Pre-K, EL (K-3) – ADVISABLE. Cindy, Library Teacher. 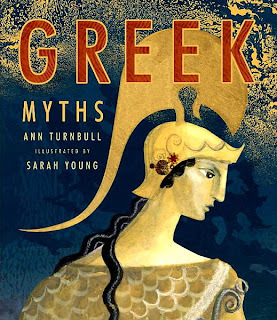 Turnbull, Ann Greek Myths, illustrated by Sarah Young. 167 p. Candlewick, 2011. $19. Through 16 profiles and gorgeous illustrations, Turnbull and Young have created an extremely interesting and useful book at the perfect time. While the characters are not all famous, they are still essential and well portrayed and their stories intersect with a large number of the Greek pantheon. 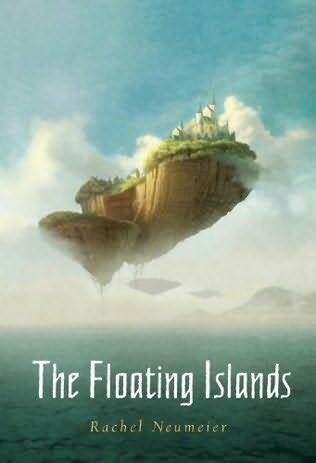 Our 9th grade Language Arts teachers are creating a new Mythology unit to go with the Common Core and they want to use this book extensively. We are buying four more copies so that we can take them apart and create booklets for students to use in small group activities (yes, I did get permission from the publisher!). 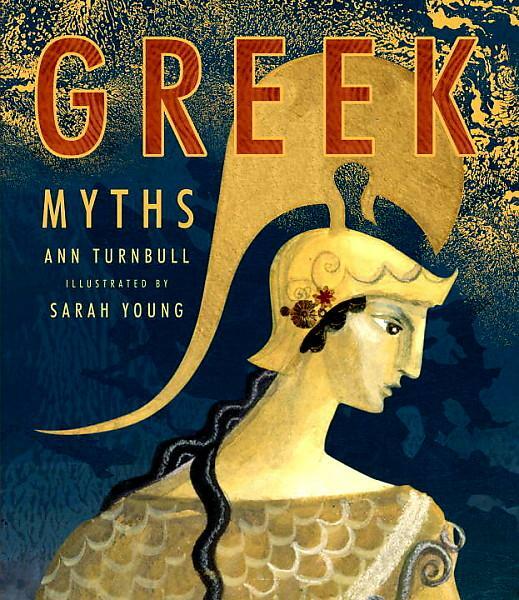 I wish someone would take Bernard Evslin’s iconic Greek Gods book and refresh it for the modern age – not the writing, but the changing the formatting and adding illustrations would go a long way to making the book fresh for a new generation. EL, MS, HS – ESSENTIAL. Cindy, Library Teacher. 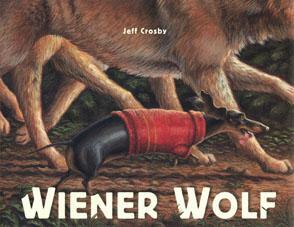 Crosby, Jeff Weiner Wolf. Disney, JULY 2011. $16. PICTURE BOOK. Weiner Dog is tired of his cushy life at Granny’s house, so he takes off into the wild woods to find new friends and new adventures and becomes Weiner Wolf. Everything is perfect until one shocking moment he remembers why little weiner dogs belong at home. When he returns home, he discovers has also learned that her faithful companion needs some friends of his own. At first I thought this was a Halloween story, but it is nothing of the sort. It is chockfull of some really great life lessons, but is really just fun to read. EL – ADVISABLE. Cindy, Library Teacher. 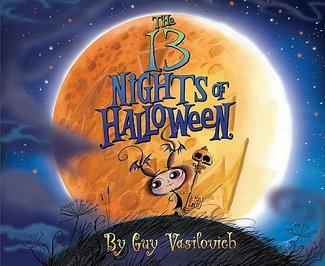 Vasilovich, Guy The 13 Nights of Halloween. Harper, 2011. $17. PICTURE BOOK. As Halloween approaches, a little witch excited as each day her mummy gives more and more exciting gifts to celebrate the season. A wonderful twist on the famous Christmas song with vibrant, funky illustrations. I would love for a remake of the tune to go with it, as the bouncy Christmas version just doesn’t seem to fit. Cora's life has been shattered by the death of her older brother Nate. Her parents are like walking shells of their former selves, her best friend is changing for the worse, and she is nervous to start High School. Cora really just wants to leave her small town and experience the world. Once school starts she jumps into her artwork and finds new friends. 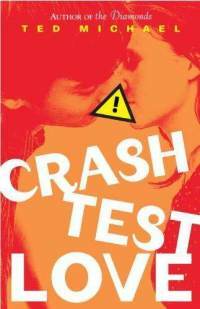 Cora even finds herself becoming friends with Damian, her brother’s best friend who was in the car when he died, enemy number 1 to her parents. 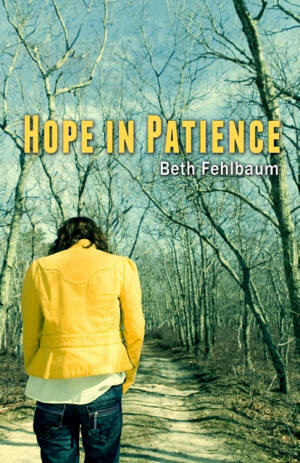 Can Cora find a way to heal herself and her family? I would like to nominate this book for the ‘cheesiest last paragraph’ award. Besides that I really enjoyed this story of how a young girl comes to terms with her grief and finds a way to make it a tool for healing. The characters are interesting and the story is an authentic good balance of emotions and action. MS, HS –Advisable. Reviewer: Stephanie MLS graduate. 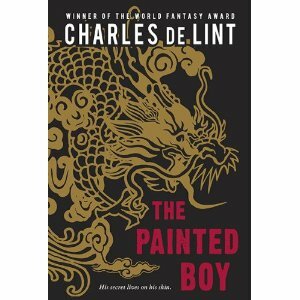 deLint, Charles The Painted Boy, 431 pgs. Viking Juvenile, 2010. $12.91. James has a secret and a quest, but he doesn’t understand either. 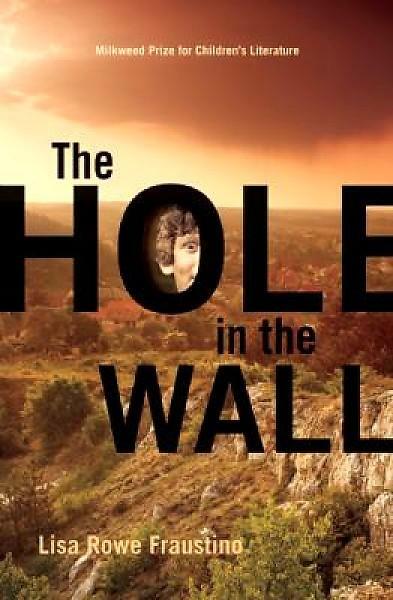 When he finds himself in a small town in Arizona, one that is ruled by gang violence, he hopes to fly under the radar. But its leader, who is ominously nicknamed El Tigre, immediately takes notice of James. 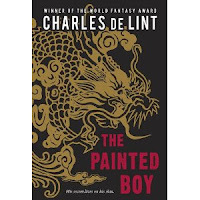 James must find out if his dragon tattoo, which mysteriously appeared on his back when he was 11, is more than just art. Does he have the power to change the world and take care of all his new friends? This book is a wonderful culture portrait of Spanish speaking community dealing with the violence and fear brought on by gangs. 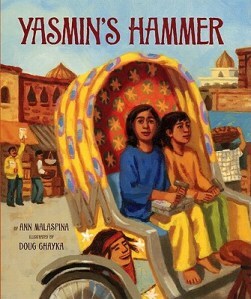 It is infused with multiple cultures and mythology, magic, music, and friendship. My only complaint is that the book was way too long for the plot. Overall a great read! Adams, T.Lynn Tombs of Terror, 195 pgs. Bonneville Books, 2010. $11.69. 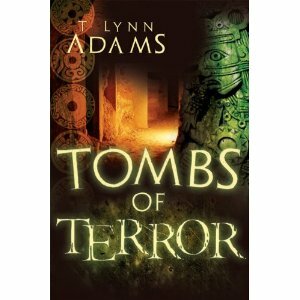 Jonathon doesn’t want to go with his father, an archeologist, to Peru. He isn’t interesting in old things, nor spending time with his father. When Jonathon’s sullen attitude leads him into taking a wrong turn near the ruins at Machu Picchu, he must confront numerous dangers: starvation, traps, terrorists, and bugs. He must learn to skate the line between a modern culture and an ancient culture if he wants to live. Did I mention there are mummies? A junior Indian Jones type adventure, this story is packed full of interesting tidbits of both anthropology and archeology. The story is interesting and fast paced. The only thing that bugged me was when Jonathon’s inner voice kept talking to him, it was super repetitive. Older Elementary & Middle School students will love this book, and maybe it will inspire a future career! ELEMENTARY, MS –ADVISABLE. Reviewer: Stephanie MLS graduate. 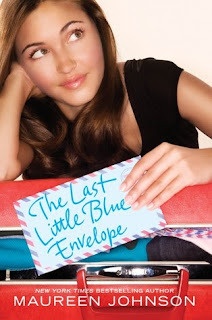 Johnson Maureen The Last Little Blue Envelope, 213 p Harper, 2011. $16.99. Content: G.
Ginny was sure that her adventure was over – the last envelope from her aunt had been lost along with her backpack, though the memories of that summer would endure. Then a stranger – Oliver – calls her up and says that he has the last envelope and he would be willing to help Ginny – but she has to give him half of the money from the sale of the art that awaits on the other end. Plus she has an excuse to go back to England and back to Keith – her long distance boyfriend who has been more and more distant lately. Ginny will be forced to interact with Keith, his new girlfriend (who Ginny can’t help but like) and Oliver – who isn’t giving up anything about himself, or about the envelope’s message so that he can make sure to get his cut at the end. And the group of off to revisit a handful of the places that she went to last summer to find a special prize at the end. I have to admit that I have not read the first book of the duology – mostly because it is usually checked out – but I didn’t really need to inorder to enjoy this one. And I did like Ginny’s adventure, the assembly of the cast of characters, the assembly of her aunt’s final piece. However, I personally didn’t find anything that I liked about Oliver, which means that I didn’t like the end. But that’s just me. I enjoyed the ride and I know my students will too. 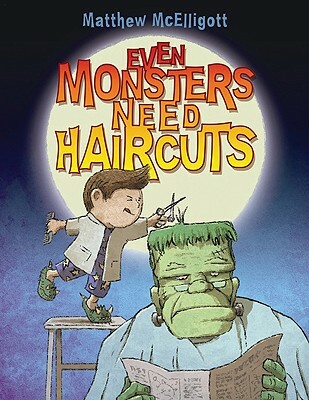 McElligott, Matthew Even Monsters Need Haircuts. Bloomsbury, 2010. $17. PICTURE BOOK. A little boy’s father cuts hair every weekday, but once a month, on a full moon night, after midnight, the little boy in secretly in charge of the shop. After a parade of bizarre and creepy customers come through, the boys and his friend Vlad must very carefully clean up for the next day’s human customers. I couldn’t resist this creepy cute book. Just looking at the hairstyle variety on the back will get any kid old enough to not be creeped out to open and enjoy the book. Thompson, Lauren. Leap Back Home to Me. Illustrated by Matthew Cordell. Margaret K. McElderry Books, 2011. $15.99. Content G-PICTURE BOOK. When the baby frog begins leaping it has little confidence, but as it leaps more and more it leaps farther and farther until it can go wherever it wants. 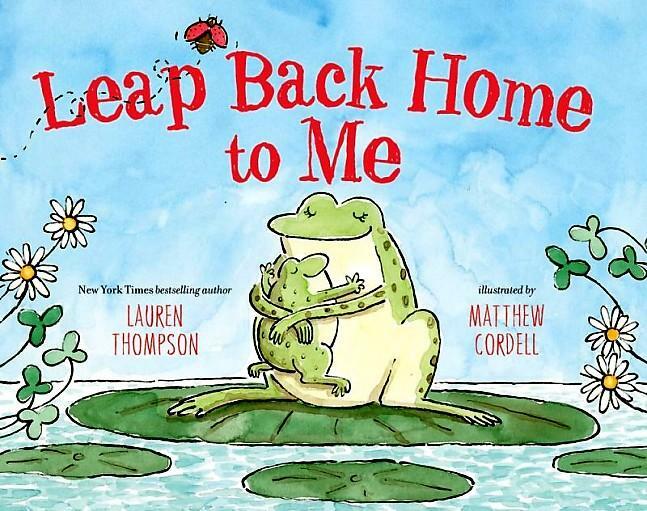 Each time the frog returns, he finds his mother waiting for him with exactly what he needs. Even though it’s a picture book, I think it is geared more toward adults. 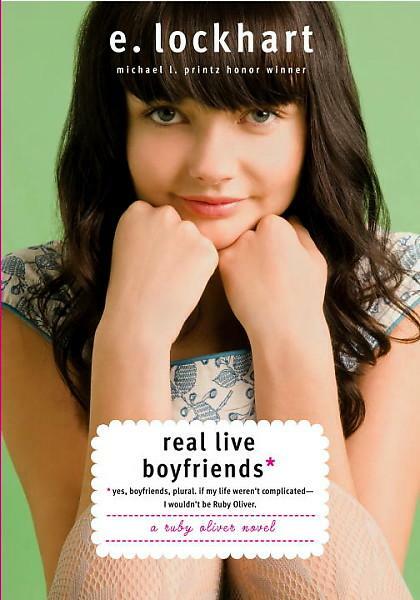 It’s a coming of age book that kids won’t understand. 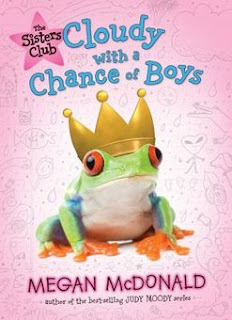 The pictures aren’t engaging enough to keep the attention of young readers unless they are crazy about frogs. OPTIONAL. Pre-K, YA/Adult. Shauna, Reading teacher. Trei is a half breed, his parents each from very different lands. After a huge tragedy, Trei is rejected by one culture and accepted by another. The people of the Floating Islands, a land full of magic and dragons, have not only taken him in but made him one of their elite flying sky warriors, the kajuraihi. When those two countries go to war, Trei must decide where his loyalties lie. In the meanwhile his cousin, Araene, has her own battles to fight in a society that doesn’t see women as equal, and in time when the magic she didn’t know she had, might be exactly what is needed to help save her land. This was a great page turner! I loved the dual perspective of cousins, a teen boy and girl, each with their own thoughts and adventures. With the typical romance component removed there was plenty of room for a wonderful story. 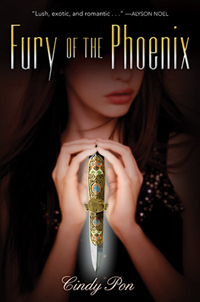 Lots of imagination, glossed over violence, and tons of action. Appropriate for middle school as well as high school. Bolden, Tonya. FDR’s Alphabet Soup New Deal America, 1932-1939. Alfred A. Knopf, 2010. $19.99. 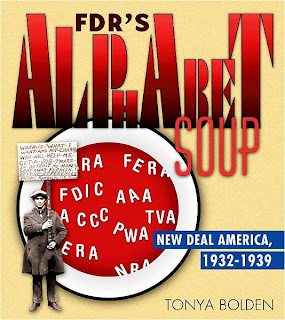 Content G. Alphabet soup was the nickname given to all the programs FDR implemented, most during his first 100 days in office, because they were referred to by their initials. FDR was faced with a severe economic depression and tried diligently to help the economy recover. Bolden has collected pictures, memorabilia, and reproduced primary documents along with detailed descriptions and background information on this period of some of the biggest changes the United States’ ever made. This is a great resource book as well as easily read cover-to-cover for any enthusiast of this time period. ESSENTIAL. MS, HS. Shauna, Reading teacher.